Picture fresh seafood and vegetables dunked in light batter and deep-fried in oil and youll have one of Japan's national dishes: tempura. The dish, however, didnt originate in Japan; in the 16th century, Jesuit Portuguese missionaries introduced the habit of eating fish and vegetables during the time of Lent. In Latin, -˜at the time of Lent is referred to as tempora ad quadragesimÃ¦-, which was taken to be thought of as the dish's name. Introduced around Nagasaki, a commercial port city, it provided one of the only points of contact with the rest of the world. At the time, tempura was made with a lot of oil, which was a very expensive ingredient. In the Edo period (1603-1867), tempura finally became less expensive, which made it possible for common people to make. It's reportedly mentioned in essays and books, as the first Shogun of Japan, Tokugawa Ieyasu, supposedly loved the dish. The original tempura dish consisted of balls of fish, vegetables, and minced meat but, around the 18th century, chefs began experimenting with frying vegetables whole. 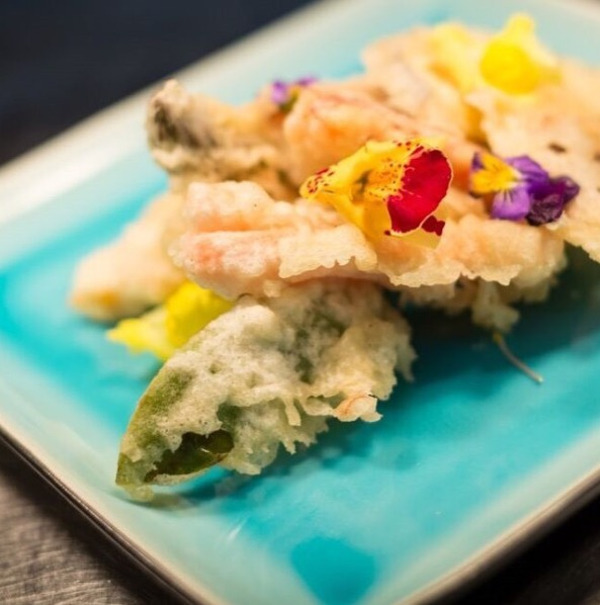 In keeping with the Japanese tradition of eating food fresh and in its natural state, tempura preserves the character and uniqueness of ingredients. When it became less expensive to make the dish in the Edo period, street vendors used to serve tempura freshly fried. Customers would eat it with either chopsticks or skewers, dipping the fried food in sauce. 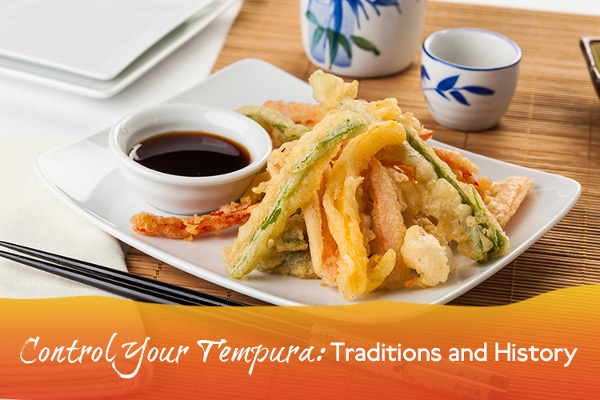 Easy and quick to eat, tempura became a popular everyday dish that people could enjoy with their family. Making its way from Kyoto and Osaka to Edo, tempura quickly spread when in the second half of the 17th century both cotton and rapeseed were harvested in shrines and temples to be used in lamps. This resulted in an advancement in both oil refining and compressing techniques, which provided common people with access to oil when oil prices dropped. 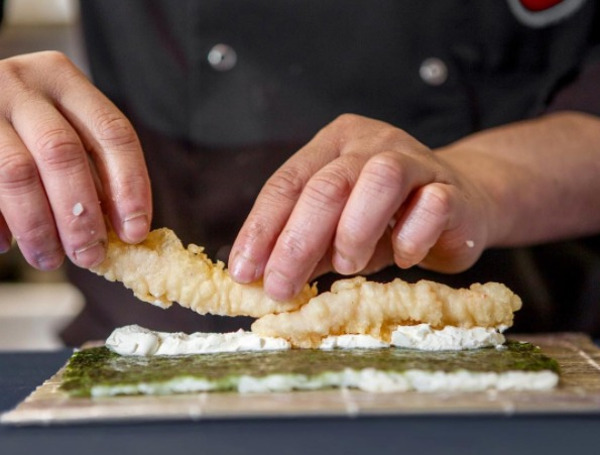 Kyoto has deeply rooted oil-based cooking techniques, and people would travel to the city to enjoy the local delicacies, with tempura being one of them. During the Meiji period, street vendors were slowly replaced by restaurants who served tempura made from special cooking techniques and oil. Tempura's popularity has since expanded into western countries, with January 7th being declared as National Tempura Day in the US. The original dish that inspired tempura has since then disappeared from Portuguese cuisine, but you can still find -˜peixinhos da horta in local gastronomy. This is a similar dish, literally translated to garden fishies-, consisting of green beans fried in batter. You can enjoy both vegetable tempura and prawn tempura here at Sapporo. As our chefs are professionals in the art of Japanese cooking, youre sure to have a delicious meal. Cooking with the oil at both a proper and constant temperature is essential to achieve the recognisable tempura batter. The golden, lacy effect of the tempura batter is due to the soft mixing process, which is done with chopsticks to achieve a lumpy consistency. The batter needs only to be loosely folded, and this quick and simple cooking method ensures that every ingredient retains its flavour. The ingredients themselves arent fried directly in the oil, instead, they are cooked with the steam trapped between the batter. Tempted by tempura? Book a reservation with us in our Liverpool, Manchester, or Glasgow restaurant to taste this delicious dish for yourself! Our restaurant is in a great location in central Manchester, situated in the popular shopping area of Deansgate and just around the corner from the Museum of Science and Industry, with on-street parking available right outside the restaurant. Whether you are looking for something tasty to eat on your lunch break, or you want a unique dining experience after a long day of shopping and exploring the city, Sapporo Teppanyaki Manchester has something for everyone. If you want Japanese food in Manchester, there is no better choice than Sapporo. Our quality dishes are prepared before your very eyes by our experienced chefs are sure to thrill you, and we go to every effort to ensure that each of our valued customers walks away having enjoyed their meal and their experience. So, what are you waiting for? Reserve your table for your next visit online, by phone or by email. We look forward to welcoming you to our Manchester restaurant very soon!